At Après Furniture we understand the requirement to provide school desks and classrooms tables which are built to last and durable enough to sustain everyday use in the modern classroom environment. Our relationship with Europe’s leading furniture manufacturers for more than two decades means that we can provide you with the very latest in educational desks and school desk design. 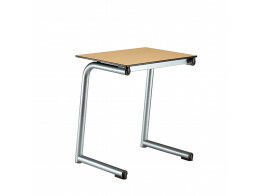 We supply stackable school desks like Tutor Tables, available as a single school desk design or double student desk. When not in use these classroom tables stack easily providing a space saving option and enabling classrooms to be repurposed for other uses. Modern school desks are designed to be robust, using materials like tubular steel, bent and engineered to ensure it can withstand the rigours of daily classroom activities, or solid wooden frames with patented joints created with longevity in mind. School tables in different shapes like rectangular, square, trapezoidal and circular tabletops offer a wide range of configurations for various applications within any educational setting. Innovative educational furniture like Screenbox Computer Desks are ideal for colleges, libraries, universities, and training environments. Screenbox is a dual purpose computer desk that integrates a LCD flatscreen computer into the desktop design. Contemporary school desks from Après Furniture. 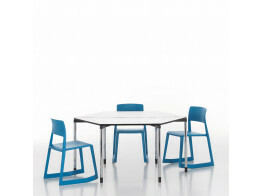 Ahrend 450 School Desks are suitable for classrooms, study centres or multi-media libraries. Ahrend 452 School Desks are great for one-to-one tutoring and classroom environments. 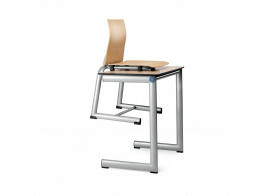 Tutor Desks are single-person stacking tables for training and education. Complements 40/4 Stacking Chair. 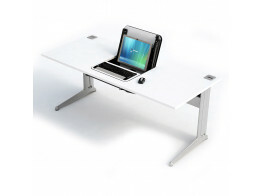 Screenbox is a dual purpose desk that integrates a standard LCD flatscreen computer. 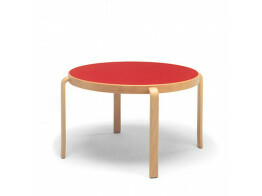 Map Tables are a great solution for modern training and meeting rooms. 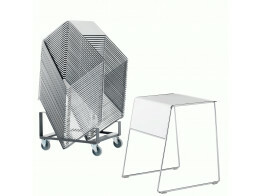 Easy to move and stack after use.